If your sponges are living a life of grime, get them squeaky clean again using one of these fast and functional approaches. It’s often said that we tend to neglect those nearest to us, and this is especially true of our closest cleaning confidant: the sponge. This porous powerhouse stays by our side during life’s messiest, murkiest hours—mopping up tough grit and slippery spills in the kitchen—all the while accumulating its own fair share of germy filth. Fortunately, you can restore a sullied sponge to its former glory with three techniques that banish bacteria, keeping your right-hand cleaning buddy safe and sanitized. If the relationship between your sponges and the microwave is usually limited to an afternoon spent scrubbing away stubborn food debris, it’s time to turn the tables and make that countertop oven the cleaning hero. 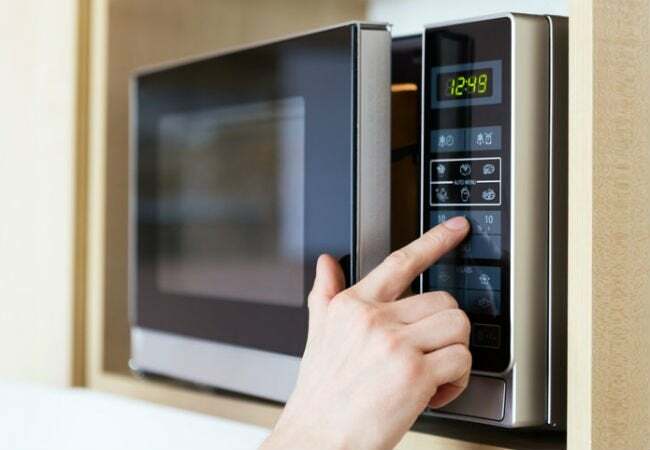 The microwave’s superpower lies in its high-temp capabilities, which enable it to use heat to destroy or inactivate most malicious bacteria, viruses, and spores hiding in your sponges. 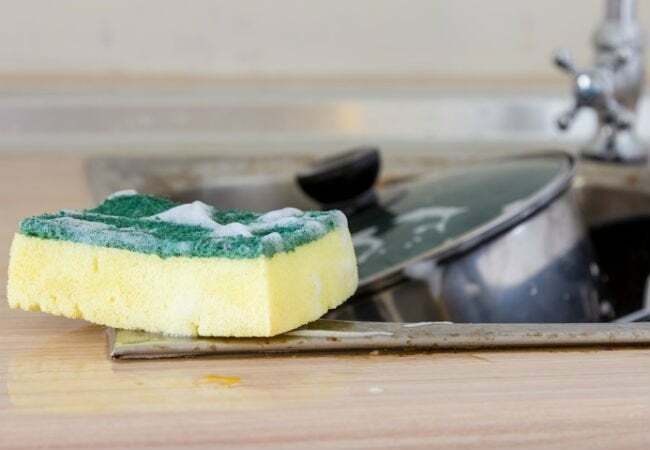 Rescue any nonmetallic sponge from the toxic turf of the kitchen counter—where it may have been exposed to raw meat, eggs, vegetables, and more—and moisten it with a half cup of water. Place the sponge in the microwave and nuke it on high for two minutes to zap germs and kill bacteria. Allow the steaming-hot sponge to cool completely before removing and reusing. Long heralded for its stain-removing prowess in the laundry room, bleach can also act as the surprising standout for getting your sponges squeaky clean. Among its many talents, bleach can eradicate 99.9 percent of the harmful pathogens that often rear their head in the kitchen and on your trusty scrubber—namely salmonella, E. coli, and pseudomonas. 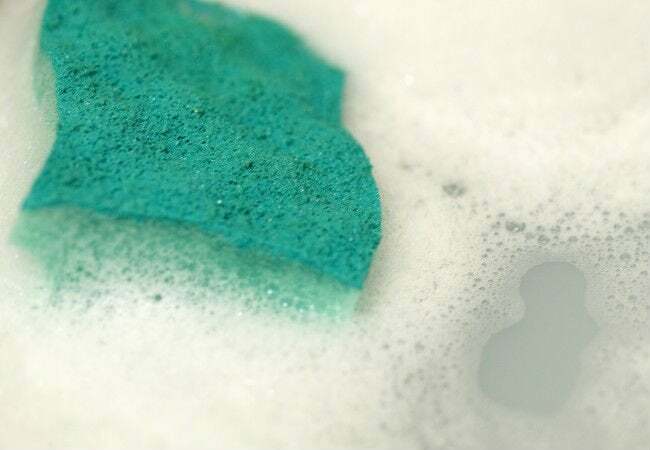 To help this germ destroyer go to battle with the bacteria in your sponge, combine three-quarters of a cup of bleach with one gallon of water in a bowl or bucket. Let the sponge soak in this bath for approximately five minutes. Remove the sponge from the bleach solution, and wring it out to reveal your old, trusted cleaning companion, but now sporting a fresh new look. 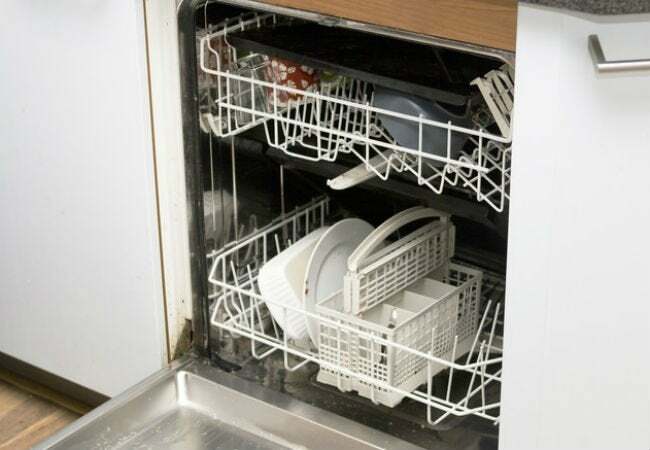 Even if your dishwasher is already crammed with everything but the kitchen sink, aim to squeeze that dirty sponge into your next load. The high heat and vigorous spray of the dishwasher pack a double whammy, deodorizing and disinfecting your sponge by destroying any stealthy bacteria that may have taken up residence in its walls. To leave all those germs behind, place the scrubber in the dishwasher and set it to the hottest wash cycle and a heated dry. When the timer sounds, you’ll find your slob of a sponge transformed into one very hygienic housemate—and you’ll be armed with three techniques to keep it that way in the future!